This webinar will focus on the role of the chaplain in ethics case consultation and the use of narrative to understand worldview. Participants will be invited to self-assess their perception of diverse worldview between themselves and others. Narratives and case studies will elucidate the problems inherent in our disregard for our differences. Attention will be given to worldview diversity among regions and subgroups in the U.S., as well as among international regions and subgroups. When you purchase this webinar recording, you will receive a PDF file with links to watch the recording and access supplemental materials directly from our web page. You'll be able to hear and see the complete presentation, including Q&A with the audience. 1. Elicit narrative from the patient to reveal his/her unique worldview. 2. Apply methods of bioethical analysis with intentional regard for the patient's worldview. 3. Lead the ethics committee in its use of narrative to discern worldview of patients in health care ethics consultation. George Flanagan DMin BCC (ret.) serves as program associate, clinical and organizational ethics, at the Center for Practical Bioethics, Kansas City, MO. He also is an adjunct assistant professor in bioethics at the Kansas City University of Medicine and Bioscience. Previously, he served for 20 years at VA Medical Center in Kansas City, where he was chaplain, lead chaplain and CPE associate supervisor. During his tenure there, he was a member or chair of the Ethics Advisory Committee, integrated ethics program officer and program manager for education. 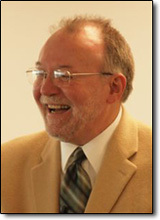 Flanagan has also served as an adjunct instructor at several other Kansas City institutions: Avilia University, St. Paul School of Theology and Midwestern Baptist Theology Seminary. He is a recipient of the Secretary's Award for Excellence in Chaplaincy from the U.S. Department of Veterans Affairs.